You are here: Home / LIFESTYLE / Pets / How Much Do Pets Really Cost? When you decide to buy a pet, you need to ensure that you are going to be able to afford it and cover all the costs, from injections to food and everything in between. Buying a pet is a very exciting time, but you must be able to commit to your new friend from the animal kingdom and be able to look after him well for his whole life. Unfortunately, your pet can become ill and require veterinary treatment, which can cost a fortune! If you buy your pet from a young age, it is very likely that they will need their injections, which will be your first experience of how much vet bills can cost. 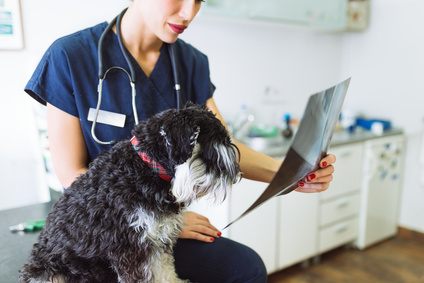 This price of your vet bill can differ depending on whether or not your pet is insured. It is highly recommended that you insure your pet, especially if it is a bigger pet, such as a dog or cat. With vet bills hitting around the £800 marker on average for uninsured pets in some circumstances, it can seem tempting to take out a payday loan in order to cover the cost. However, it is important to note that these are to be used for emergency purposes only and if you need to take a loan out, you shouldn’t have purchased the pet in the first place. When you purchase your new friend, you may want to buy it toys and accessories to spoil it. Sometimes people can buy an excessive amount of accessories for their pet, which they don’t need and will cost them a fortune. Give yourself a budget when choosing new toys and equipment for your new pet, so you don’t spend all of your money, which you will need to spend on their food and vet bills. Buy alternatives to the products they sell at an extortionate price in your local pet shop. For example, you could use an old bowl for their feed or water, and old blankets for them to sleep on. You could even use human shampoo on them, as long as you check the label for any ingredients which might irritate their skin. Only some pets require being groomed at a grooming parlour. Many can either be groomed or washed at home, whilst others don’t need to be groomed at all. However, for those pets that do, it can be quite an expensive service. Although it is sometimes only an expense that is spent once a month, the more pets you have, the more expensive it can get. With the price of grooming being very varied depending on the type and size of pet that you have, it is important to do your research to find the best grooming parlour to suit you and your budget. When you do your weekly food shop, you will also be required to pay money for the food for your new friend. With prices differing from animal to animal, as well as different brands to cater for your animals and the health problems that they may have, it is important to pinpoint the food that works best for your pet and ensure that you have the right amount. Whether you decide to buy in bulk from your local pet store, or you buy their food as part of your normal weekly shop, make sure that you have budgeted accordingly, in order to provide enough food for your animal. Taking this all into account, you need to ensure that you will be able to afford to pay for your pet and keep him/her healthy and happy for the duration of its life. There are so many pets, dogs especially, which are abandoned because their owners can’t afford them – don’t let this be you! If you are thinking of buying a new dog, visit a dog shelter and think about rescuing one, before buying a new puppy.